Once a person files a lawsuit, a hearing or set of hearings ordinarily follows. However, the term hearing conveys different meanings, depending on the context. A hearing may present a party’s chance to present or defend a motion in his, her, or its case. A trial is a hearing on the merits of a lawsuit to decide the case but is typically referred as a trial. 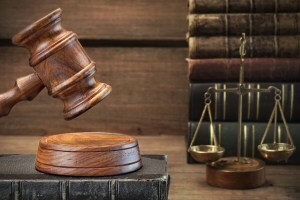 Often, a hearing is held to resolve and decide temporary matters, not the final outcome of a dispute or lawsuit. For instance, in a lawsuit, a party may file with the Clerk of the Court various motions to move or defend a case, such as a motion to mediate the dispute and a motion to compel the other party to answer questions issued in discovery, and much more. In a trial, each party offers testimony, presents evidence, and makes legal arguments, which judges consider before issuing final judgments. There are numerous different types of hearings, and to list a few: administrative hearings, arraignment hearings, review hearings, and bail hearings. In administrative hearings, administrative judges resolve disputes people have with government agencies. For instance, administrative hearings are held for suspending or reinstating driver’s licenses; similarly, administrative hearings are held to determine if a teacher’s state teaching license should be revoked or suspended. An arraignment hearing is a hearing in a criminal case where a defendant first appears before a judge, receives a copy of the criminal charges filed against him or her, and almost always pleads not guilty. In addition, another order setting dates for the case to move often is provided during an arraignment hearing. As the name suggests, a review hearing is when an individual has his or her case reviewed by judges, boards, or different types of governing bodies. There are numerous types of review hearings. For instance, in a review hearing regarding a criminal matter, individuals may learn if parole has been granted. A bail or bond hearing occurs for bail to be set for a defendant. Also, in bail hearings, a request is made to lower the bond, to revoke the bond, and more. Again, the term hearing can have different implications and meanings whether in a civil, criminal, administrative, or regulatory matter. A party should take any hearing seriously. If you have a hearing scheduled, talk to an attorney and have him or her accompany you to your hearing. If you have questions about hearings and related procedures, talk to a lawyer. 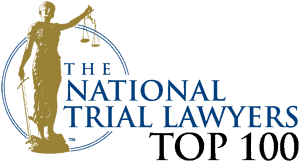 For more information, contact Nashville Attorney Perry A. Craft.